What happened in Hawkins: 'Stranger Things' season 2 predictions – AiPT! Be honest, how many of you are going as one of these characters (or the character’s they’re dressed as) this Halloween? 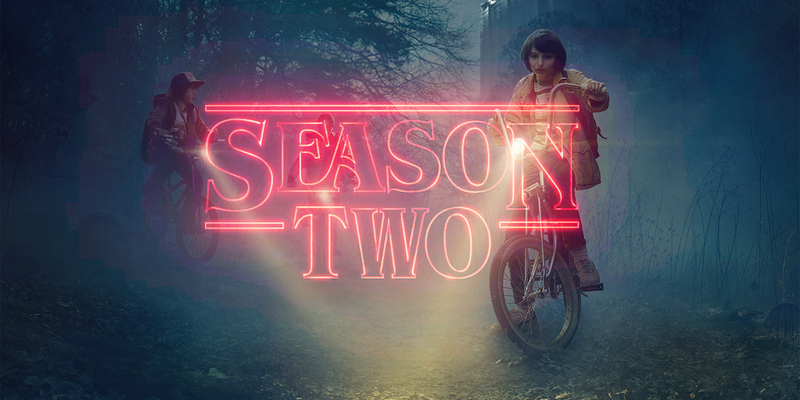 Stranger Things was a bit of a cultural phenomenon when it first premiered in July of 2016. Why do you think the show caught on so well? Nathaniel: Stranger Things had something for everyone. It wasn’t just a show aimed at the 1980s nostalgia crowd, there was also a season long mystery, compelling characters, and great storytelling. Plus, who doesn’t like a story about sharp witted and shrewd kids fighting against insurmountable odds? To top it all off, the first season only had eight episodes. All killer, no filler. Nick: The ability to binge the show in one sitting was definitely a big part of it. Also the decision to center the story around children, something the Duffer Brothers got a lot of pushback on when they were first shopping the concept. If you’re a kid (middle or high school), you can totally relate the dynamics you see playing out. If you’re an adult — especially one like me who actually grew up during the 1980s — then it’s like watching your childhood years play out again in a much cooler setting/story. Jason: There’s a lot to love in the show. Great performances, awesome effects, a compelling, easily-bingeable narrative and the best soundtrack in episodic entertainment. Yeah, the show hit the nostalgia button pretty hard, with clear homages to the Goonies being at the forefront of the series’ central narrative, but it was so much more than that. The characters were all well developed (barring maybe Steve’s douchebag friends), and you really cared about what happened to everyone on the show. Shoot, people are still complaining about Barb! What are you most looking forward to in the forthcoming season? Nathaniel: Whenever you see a strong debut season for any show, you can’t help but be a little cautious going into the second season. Is the show the real deal or was the first season a fluke? I’m going with the former. The Duffer Brothers seem to have a genuine love for what they’re doing, so I have faith in what they have planned. Nick: I can’t wait to learn more about The Upside Down. I’m also curious to see how they’re going to continue making the threat feel so personal with that giant shadow monster we’ve seen. Jason: I’m looking forward to seeing how thing have changed between the characters. How do they explain Will’s time in The Upside Down? What is the status of Nancy and Jon’s relationship? What is the story with Hawkins Laboratory? WHAT WILL STEVE’S HAIR LOOK LIKE THIS TIME?!!?!?!! I survived the trip to Mount Doom for this? The trailers for season 2 show a lot of new faces, whether it’s newcomers like brother and sister Max and Billy, or 80s icons like Paul Reiser and Sean Astin. Are there any characters you’re looking to see more of – old or new? Nick: I really want to know what Hopper and Will have been up to since we last saw them. Of all the living characters, both of their lives arguably changed the most. Will is still infected by The Upside Down, while Hopper is “infected” by a debt he owes the government. If the trailers are to be believed, it looks like he works for them now. I’m also eager to see how the Byers family as a whole is doing. Of all the Hawkins residents affected by The Upside Down incursion last year, Joyce and Jonathan felt it the most. They may not have lost Will, but it certainly felt like they did for a while. And all three of them have had direct contact with something from that dimension — or in Will and Joyce’s case, they’ve actually been there. Jason: I’m pumped about the return of Eleven. She was obviously the breakout character of the first season and seeing her return after she seemingly sacrificed herself for her friends last year brings up all kinds of questions. I agree with Nick about Hopper, what’s his new gig? How does that play into his relationship with the kids? What is Dustin’s awesome nerdy fan service moment going to be? We had the X-Men and D&D last time, maybe he’s super into Rush this go around? Please? Are you guys hearing that awesome, but creep as hell synth music that’s been following us all day? A huge part of the show is the atmosphere created by the awesome soundtrack from Kyle Dixon and Michael Stein, punctuated by some era-appropriate mainstream hits. Given that this season takes place in 1984, is there any music you are looking forward to – or loathing the possibility of – hearing this time around? Nathaniel: Jonathan Byers has already been shown trying to introduce his brother Will to different types of music. The Smiths eponymous debut album was released in 1984. Pretty much any song off The Smiths would seamlessly fit into the show. I know it is a sign of the excesses and overall cheesiness of the 80’s, but I could do without “Relax” by Frankie Goes to Hollywood. Nick: You shut your mouth, Nathaniel. ‘Relax’ is a classic. As far as my list goes, I think the show is missing a huge opportunity if there isn’t some joke/reference made involving 99 Red Balloons and a clown. On the flip side, I really hope we don’t get any awkward love scenes with ‘Like a Virgin‘ playing over them. There probably will be a kissing scene with ‘Time After Time‘ or ‘Hold Me Now,’ but I’m okay with that. I also expect a spy scene with ‘Somebody’s Watching Me,’ too. ‘Thriller‘ and ‘Ghostbusters‘ are some more obvious/good picks, but I will be all types of happy if ‘Dance Hall Days‘ or ‘Let’s Go Crazy‘ makes it in. I’m just going to go ahead and stop here before I embarrass myself any further. But also I would bet a good sum of money that we’re going to hear Pat Benatar’s ‘Love is a Battlefield’ at some point – probably in a scene with the Jonathan-Nancy-Steve triangle. Prince’s ‘When Doves Cry’ is also something I anticipate hearing, but what I’m most excited for is the new and expanded score. The first season’s music was so perfectly atmospheric that I can’t wait to see what the team has come up with for season 2. Also maybe some Ratt. Hey man, I’m cool! I’m cool! When we last saw Eleven she was using her telekinetic powers to literally disintegrate the Demogorgon. Given that the latest trailers have revealed that Eleven is back (with hair! ), do you think everyone’s favorite flower-headed monster may find it’s way back to Hawkins in season 2? Nathaniel: I hope not. The Demogorgon was a great Big Bad. When El defeated it, there was a real sense of triumph. I am cool with seeing the Demogorgon in the final shot of this season to tease season three, but anything else would cheapen Season One’s victory. Nick: Totally agree with Nathaniel on this. We’re already lessening the impact of Eleven’s sacrifice to defeat the creature (although of course it’s great to have her back). Bringing back the Demogorgon as well would be too much. Jason: See, personally, I feel like the Demogorgon isn’t an isolated monster. I think of it as an animal, and it’s unlikely that there’s only one of them in the Upside Down. That being said, I would love to see what they come up with for other monsters – and judging by that giant hydra looking thing in the trailer, I’m assuming I will. I know we already made this joke, but be prepared to see a lot of 11s this Halloween. Speaking of Eleven, there has to be other experiments with super powered kids running around, right? Will we ever get to see numbers 1-10? Nathaniel: I would not count on it for this season, but we will definitely see another of the kids. There has to be an A.C. Slater to El’s Zack Morris. I think the real question is not if we will see one of the others, but what number will we see. I am going with a secret number 12. Nick: I bet one of the kids was David, but his only power is that he can fart and sneeze at the same time while keeping his eyes open. Jason: Nate may be onto something, because I assume that the organization behind Eleven’s creation may have “done away” with their previous efforts. Of course, I also assume that at least a few of them may have escaped – or may actually be willingly working for the bad guys. I just wonder if they will all be telekinetics or if there could be different numbers with different kinds of powers. Dude may have been trapped in an evil dimension for a few days, but that bowl cut shows he never lost his sense of style. Also back this year is Will Byers, who clearly had a rough go of things last season, and was last seen coughing up a weird green slug thing. We’re obviously going to get more into this character than we did in season 1, so what’s up with Will? Nathaniel: I agree with Nick. The poor little guy is a monster magnet. It won’t be all bad though. I think the same thing that attracts monsters is the same thing that will help bring El back. And that’s Dopes to Infinity. Nick: He’s obviously infected by his time in The Upside Down. While I don’t think it will change Will’s core as a person, it probably will make him a conduit to the place. He very well could end up being a sort of beacon that draws the monsters toward him, which inadvertently puts the people he loves in danger. Jason: I more worry what his return will do to the chemistry of our established cast. While Will was obviously a central figure of the series, we really only saw him in one and half episodes. The characters we know and love have gone through some crazy times together, and that experience has created a unique bond for them that Will, having been trapped in the Upside Down the whole time, doesn’t really share. Similarly, you can’t be trapped in a horrific nightmare world riddled with monsters and be the same person, so I imagine Will will find his relationship with people (including his friends) to be a bit strained. Finally, and most importantly: is there any chance we see Barb again? Nathaniel: Without a doubt. It won’t be an important part – and it shouldn’t be – but she’ll pop up in a flashback or dream or in the background in the Upside Down. Nick: Ugh. I sure hope not. Look, I loved Barb when she was still breathing, but this whole crusade has gone beyond ironic into ridiculous territory. Also, I just re-watched Stranger Things recently. The whole idea that she was forgotten seems a bit strained. Nancy is clearly distraught about her friend’s disappearance and eventual death. Even after Will is found, it’s clear that she’s depressed that she won’t get to have a reunion with her BFF like all the others. What about #JusticeForBenny? The dude took Eleven in, showed her kindness, provided her with food and shelter, and got a bullet to the head for it. He’s the one whose death we should be mad about. All that being said, I do like that they are bringing Barb’s family into this. The adults on Stranger Things may be generally oblivious, but they wouldn’t just move on silently after the unexplained loss/disappearance of a child. This is Hawkins, Indiana, not Derry, Maine. Jason: No Barb? No peace! I do agree that the town just kind of forgot about local business owner and chef, Benny, when he disappeared, but when you don’t even lift a finger or touch on the disappearance of a teenaged girl, that’s just weird. I don’t need her to be alive again or anything, but I am very much on team #Justice4Barb. So those are our thoughts. What do you think? Pumped for Eleven’s return? Can’t wait to find out more about The Upside Down? Let us know in the comments below!